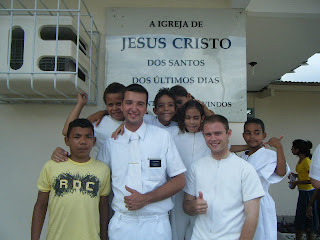 Eduardo, Eduardo, Eduarda, Bruno, Edivan and Edivania. 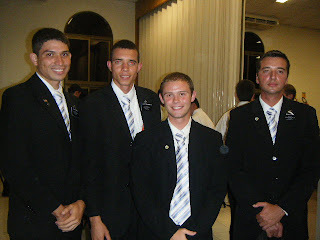 This is Elder Clark and his companion Elder Paim along with the elders that they live with. Don't they all look handsome in their matching suits and ties~!